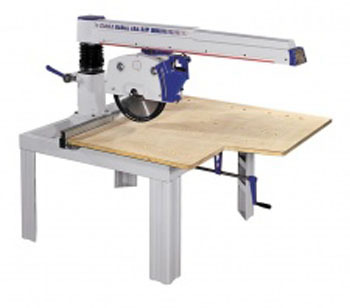 These precision radial arm saws are very versatile, multi-purpose machines. This versatility is due to the possibility of swiveling and tilting both in the horizontal and vertical axis which makes the machines especially suitable for furniture manufacturers, frame makers, sawmills and carpentry shops. There is a wide range of accessories available to adapt the machine to each and every requirement. 88" x 27" x 55"